Migrant children should always be protected, stay with their families and be kept out of detention centers. UNICEF is working closely with the Mexican government to protect the rights of children on the move and develop alternatives to detention. In the last two weeks of January, more than 12,000 people, including 3,000 children, crossed from Tecun Uman, Guatemala to Tapachula, Mexico. 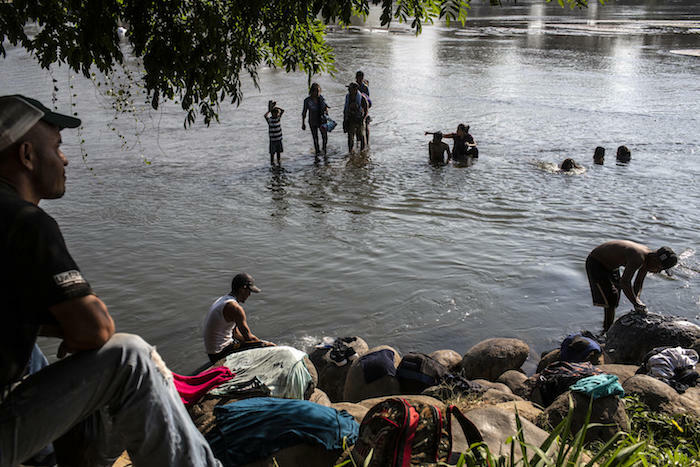 "The Mexican government and people have been mostly welcoming towards the thousands of children and families crossing the border every day," said Paloma Escudero, UNICEF Director of Communications after a recent two-day visit to Tapachula. "Whether these children stay in Mexico or head further up north, it is crucial that they remain with their families, that they are kept out of detention centers and that their best interests are protected throughout the journey." According to government statistics, more than 30,000 children from Honduras, Guatemala and El Salvador were temporarily held in detention centers in 2018. Under President Andrés Manuel López Obrador, Mexico is increasingly implementing measures to safeguard children's rights while in transit or seeking asylum in the country, but challenges persist. At the Tapachula migration station, which holds close to 1,000 men, women and children, Escudero spoke with mothers and young women kept at the station while their asylum claims or deportation orders are processed. Although people staying in the center have access to food, health and recreational services, the conditions are inadequate. "Although people staying in the center have access to food, health and recreational services, the conditions are inadequate," Escudero said. "I saw mothers and small children sleeping on the floor in the hallways. Many told me that they were unsure what would happen to them next or when they might be allowed to leave." The new Mexican government has officially committed to end detention of all child migrants and is presently working to fulfill this new policy. UNICEF and other organizations are closely supporting these efforts by helping develop alternatives to detention. "Many of these children and young people are trading the trauma of violence and poverty back home for the trauma of displacement and uncertainty while on the move," Escudero said. "The hope of a better, safer future that keeps them going is getting further and further out of reach." Many of these children and young people are trading the trauma of violence and poverty back home for the trauma of displacement and uncertainty while on the move. 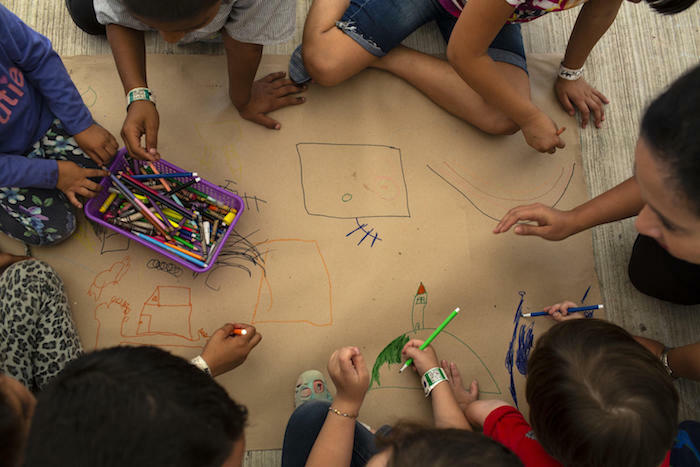 In Mexico, UNICEF continues to work with the Government and its partners to ensure that migrant children receive the support and services they need and that their rights are upheld. UNICEF teams in Tapachula are giving direct support to children arriving at the migration office in Ciudad Hidalgo, providing them with information about their migratory options. UNICEF is also providing technical assistance to the Social Welfare Agency and Child Protection authorities to ensure unaccompanied children are properly processed and receive appropriate care. UNICEF is advocating with its government partners to build on the country's existing successful programs for migrating children, keeping the best interests of the child above all other considerations. Migration is not a crime and should not be treated as such. "UNICEF has been working with the government to identify and implement alternative solutions, including humanitarian visas, open shelters and day centers, that can keep families and children safe and protected while their claims are being processed," Escudero said. "We look forward to seeing more of these programs along the Mexico migration route. After all, migration is not a crime and should not be treated as such." Please support UNICEF's work to protect and assist migrant children and refugees every step of the way.